Singapore, 20 May 2015 – Paywizard, the specialist in subscriber management for pay-TV, will be making its APAC debut at BroadcastAsia 2015. Bringing its subscriber management platform to the show floor (stand 4B1-14), Paywizard will show pay-TV operators and VOD providers across the region how to profit from pay-TV. The advent of internet connected devices means today, it is becoming a strategic imperative for VOD providers and pay-TV operators to offer content across devices. But on-boarding subscribers, supporting transactional and subscription-based models and delivering flexible payment methods is not an easy feat. Paywizard’s subscriber management platform enables companies to deliver compelling TV services across devices, increasing subscriber retention, acquisition, cross-sell and up-sell. Paywizard’s subscriber management platform is helping VOD providers and pay-TV operators to grow both their traditional and multiscreen TV businesses. Paywizard Agile is designed specifically for VOD providers delivering over-the-top video and enables companies to manage and acquire subscribers effortlessly across devices, takes payments anytime, anywhere in multiple currencies, markets effectively through optimised offers and discounts and easily integrates with global online video platforms and international payment providers. Paywizard AgileXtra is enhanced for pay-TV operators and optimised for TV everywhere pay-TV. 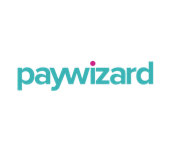 Paywizard AgileXtra enables operators to extend traditional DSAT and DTT services to multiscreen, create flexible offers and discounts that increase APRU and reduce churn, understands subscribers to create personalised product bundles and services, and integrates seamlessly with leading conditional access systems. For 17 years Paywizard has been driving the revolution in television, from free to pay, broadcast to IP and from single device to multiscreen. For leading TV service providers such as BT Sport, NBC Universal and NHK Cosomedia Europe, Paywizard is putting the profit in to pay-TV.